Cette belle unité est entièrement meublé avec 2 téléviseurs à écran plat, 6 appareils, balcon, toit vert et terrasse d'observation qui permet de vue imprenable sur la ville de Toronto et le lac Ontario. Cuisine entièrement équipée, salle de blanchisserie, internet, téléphone (appels locaux seulement) et le câble sont inclus. Le bâtiment est situé dans le centre de centre-ville en plein essor de Mississauga et à quelques pas de certains des meilleurs commerces et divertissements commodités dans la région du Grand Toronto. Square One Shopping Center, l'un des plus grands centres commerciaux du Canada est juste en face de la rue. Les autres installations de la région incluent le Centre des arts vivants, Playdium, le Centre Hershey et le Civic Center qui sont tous situés à distance de marche. L'autoroute 403 est juste en haut de la rue et le centre-ville de Toronto est accessible en moins de 20 minutes, ce qui rend cet endroit un rêve pour les navetteurs. Les deux salles de bains sont avec éviers, cabintes et les miroirs, les serviettes sont fournis. Great penthouse, we really felt on vacations being so high in the sky! Owner Annie is very amiable. 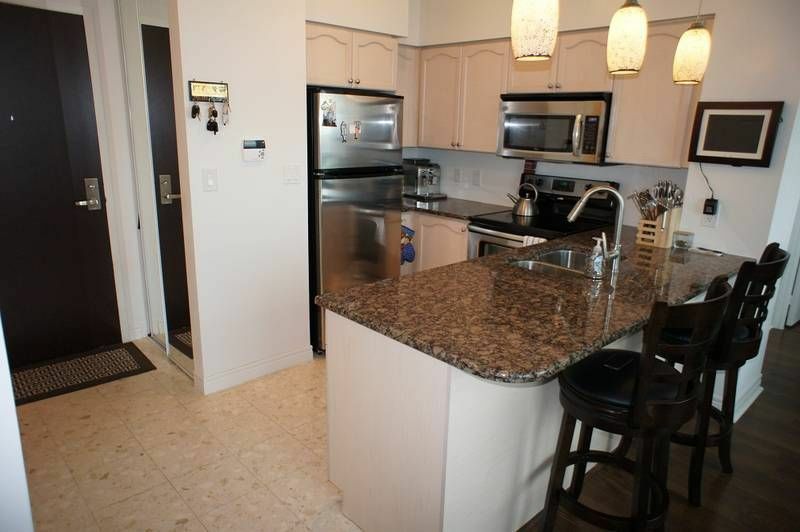 The view is fantastic, well located in Mississauga at walking distance from Square One, nice big mall. Appartement confortable, kitchen has everything we need and is spacious. Bathroom could be a little refreshed, e.g. just a new curtain would help. Bedding could be refreshed too (I admit I am fussy about this). One more little improvement suggested: The sofa is not very confortable as the cushions tend slippling on the floor. Other than these little suggested improvements, we enjoyed very much our stay. We keep returning to this little gem...location, cleanliness, ease, amenities...this is our go to place twice a year when we come to Toronto for business with a stay of 10 days each. Great location (close to shopping centers) and amazing view! Well stocked kitchen cooking materials. Only suggestion - add reading lights in the bedrooms so one can read in bed prior to going to sleep. You gotta stay here !!!! Great location. very clean, awesome views, condo has all the amenities you need, Annie is very good to work with, highly recommend. We had a wonderful stay at this penthouse apartment. Annie was always there for us. I want to thank her for her attention to detail and coming to our aid when we had trouble finding the right building and entrance. She came right down and showed us the way to our parking spot. All communications with her were very accurate and added to our sense of ease. The apartment was clean and beautiful. We were staying with another couple and we all found it to be very comfortable. The location worked well for us. We had a great trip visiting Niagara Falls, Toronto and Port Credit. And I have to mention the view from the penthouse...Oh my...it was wonderful! It was our pleasure having you. Thank you for the nice comments and if you plan another Ontario visit again, we will be honored if you choose our place again.